Recently, I laid the drywall on a new writing project, something entirely different than any of my previous endeavors. Namely: it's poetry...kind of. Despite this and a handful of other reservations, I was talked into debuting it at a poetry reading for the Death Rattle Writers Festival. "Before I read this, I wanna ask you to embrace a few things," I said. "Number one: there is a narrative. Number two: it's written in rhyming couplets. Number three: there are no pictures." But we got through it, together, and in spite of how much it simply didn't fit in with the other poetry, it still seemed to flick a nerve with a number of people. 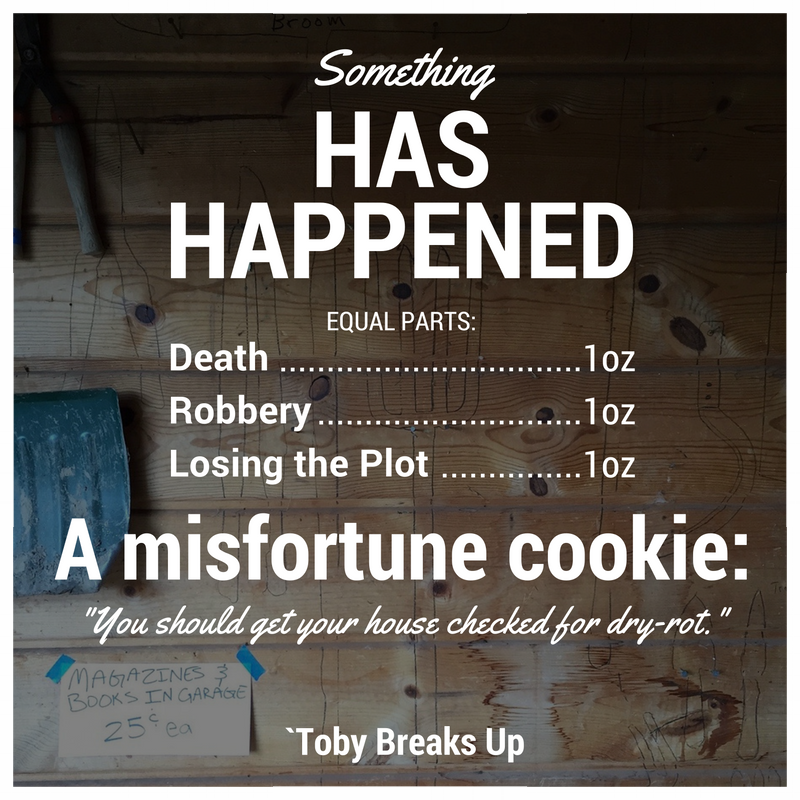 The story is called Toby Breaks Up. It's meant as an "adult picture book about divorce," though there aren't (currently) any pictures. It's short and sad and funny and odd. And with a little luck, it'll come to life as more than a blog post and awkward poetry reading in a cave.